When pensions flexibility was announced in March 2014, one of the inevitable criticisms was that the reform came too late for those who had already turned their pension pot into an annuity. A year later the then Chancellor attempted to respond to this complaint by proposing the creation of a secondary annuity market. The idea behind this was that pension annuity owners would be able to sell their annuities for cash and then either reinvest within the pension framework or draw out a lump sum, subject to income tax. George Osborne’s proposals met with some scepticism about their viability and in the July 2015 post-election Budget the planned start date was pushed out a year to April 2017. Turning your pension fund into an annuity will therefore remain an irrevocable choice. Coincidentally, a few days before the Treasury’s change of mind the Financial Conduct Authority had issued the results of a review of annuity sales practices by pension providers to unadvised clients. The regulator found failings “at a small number of firms” and highlighted four areas where all providers should review their processes. If you are at the point where you need to start drawing income from your pension fund, there are plenty of options other than an annuity. 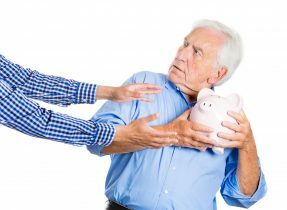 The best way to understand these and to decide whether an annuity is right for you – and if so, which one – is to seek expert advice before taking any action. For help and advice, please get in touch with the Hartsfield team. For help and advice on pensions please get in touch with the Hartsfield team.